← You are Wrong, Ann McCracken. Someone Always Pays! I continue to ruminate on Tom Campbell’s opinion piece in the Raleigh News and Observer from Sunday, May 10th. It amounted to nothing more than political pap; in fact, it’s only worth mentioning because it serves to remind conservatives just how liberal the working press really is. Campbell contends that conservative GOP candidate Pat McCrory can only beat liberal Democratic Party candidate Walter Dalton in the fall gubernatorial race by moderating his conservative stance and becoming more ‘moderate.’ That is truly nonsensical. Maybe what Campbell was trying to imply was that Dalton can only win against McCrory if McCrory becomes more like Dalton! Tom Campbell is a known progressive establishment mouthpiece for liberal progressive causes. Why should Campbell even bother himself with Pat McCrory’s electoral welfare, especially if McCrory is heading down a path that he, Campbell, believes is self-destructive? More likely, Campbell is concerned with McCrory’s electoral potential as a true conservative in what is really a conservative-thinking state. As for conservative voters around the Tarheel State, if Pat McCrory must pander to liberals to get elected, he doesn’t deserve the conservative vote. 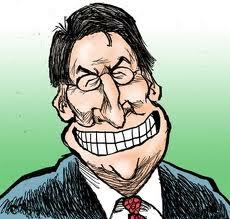 So, sorry Tom, Pat McCrory needs to stay the course!